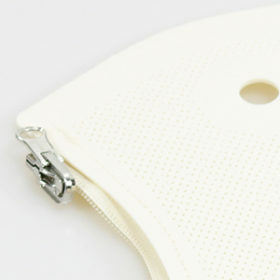 Orfizip NS is extremely easy to mould and offers lightweight patient comfort as well as appropriate ventilation. The shape and design ensure a snug fit around the wrist. A zipper fastener for easy fitting, putting on and taking off is included. 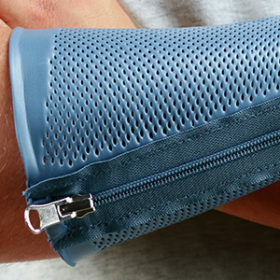 Pre-cut wrist orthosis with double-sided zipper. Available in 3 sizes (S-M-L) and choice between different thicknesses and perforation styles. Each pre-cut can be used to fabricate either a left or right hand orthosis. Coating allows for temporary bonding during fabrication. Reliable permanent bonding is possible after removing the coating and using dry heat. All attachments and outriggers can be applied with maximum ease. 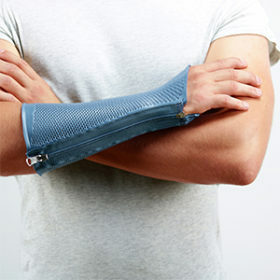 Prevents the material from sticking onto bandages or cotton lining. No accidental bonding. Easily remouldable. Ulnar sided closure. Can accommodate all size wrists. Optimal skin ventilation. Increased patient comfort and compliance. 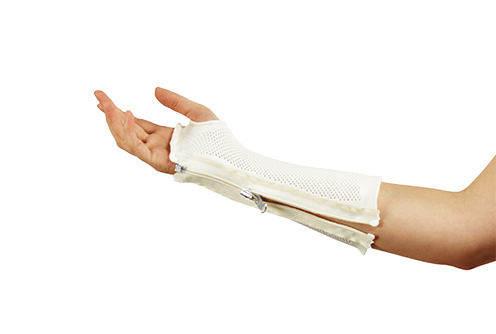 Orfizip NS is appropriate for all traumatic wrist injuries which require circumferential immobilization. Makes an excellent base for outrigger attachments as it will not migrate distally.